While many young women her age are singing about parties and boyfriends over the same beats as everyone else, New York singer-songwriter Omnia tackles weightier world issues head-on with grace and passion. Combining modern pop styles with the rich flavors of her Mediterranean heritage, the East-meets-West result is fresh, engaging music with a message of empowerment. Shortly after releasing an official music video for her song “Grace” on International Women’s Day (see the video over on the Lyrical Venus Tumblr), Omnia took the time to answer some questions for Lyrical Venus. Read on for her answers, and tune in to the Lyrical Venus Radio Hour on Tuesday, 3/27/12 at 9am Central to hear a featured set of Omnia’s music. And of course you can always check out her website to hear and learn more! 1. What inspired you to start writing songs? Has your source of inspiration changed? I started writing songs when I was 11 with my twin sister Leila, who is also a musician. Before I played the guitar, I would stand at the piano while my sister played and we would sing until what we were singing would turn into a song. We wrote a few songs together and then she started writing songs on her own. I’ll admit that the need to write songs started with the need to compete with my sister. We’re identical twins and we’ve been compared to each other our whole lives. But now my inspiration comes from my need to talk about issues that matter to me. A lot of people tend to only write about their own experiences, and while a lot of my songs are based on my own narrative, I also enjoy being an observer and telling other people’s stories. 2. Where is your favorite place to sing? My favorite place to sing is The Bitter End in Greenwich Village. It’s one of the first venues in New York City that I performed at, and it’s where I feel at home. The sound there is always amazing and it’s just all-around great place for a singer/songwriter. 3. What’s the hardest thing about performing? What’s the best thing? Performing forces you to live in the moment. We spend most of lives planning out the future: what we’re doing next week, next month, a year from now, five years from now. When I’m performing, I have no choice but to focus on the now, which is a beautiful thing. The flipside of that though is that leaving your personal life at the door is very difficult. When you have a bad day or you’re not feeling completely yourself, you still have a commitment to your audience. It is your job to give them a good show, whether you’re feeling one hundred percent or not. 4. What things are you passionate about besides music? I’m that girl at the dinner table who will argue about politics until you have no strength yet. In another life, I’d probably want to be a politician (most likely the first female president). I’m passionate about freedom and the fact that all people deserve to experience it, so any violation of human rights makes my blood boil. I’m also a feminist. Maybe it stems from being a woman in a very sexist music industry. I’m sure my Middle Eastern heritage also has something to do with it. We’re not living in an equal society when women are still stoned and the sound guy still patronizes me (when in fact I went to school for music production and know he’s being lazy). 5. What is one instrument you would really like to play but don’t (yet)? I’d love to play oud (it’s essentially a Middle Eastern lute). It’s sort of a mix of the instruments I already play: it’s like the guitar in the sense that you play with a pick, and it’s like the violin in the sense that it’s fretless. And unlike the guitar, which has frets, you can play quartertones and semitones (the notes in between the notes), so there are more options. My father just came home from visiting family in Egypt and was amazing enough to bring one home for me, so I’ve just begun to dabble. Can’t wait to start recording and performing with it. Just need to get the hang of tuning it first (it’s ridiculously complex). 6. How to you pick yourself up when you’re feeling down? Some of my darkest moments were dealt with by writing a song about the situation. It’s usually my way of making sense of things and figuring out where I am in the universe. And if I can’t write, then I talk to my mother. She’s a gentle soul and my best friend, and just being around her eases my mind. 7. What are you proud of with your new album? I’m very proud of the songwriting, arranging, and the production on The Jailbird EP. I studied music production at the Clive Davis Institute at NYU because I wanted the outcome of my recordings to be in my hands, and it’s the most amazing feeling to be in control of your own work. This is a weird way to put it, but writing music is like having children. You write a song and it is born. If the song is well arranged and well produced, you’ve raised it well. And hopefully one day it will make you proud. 8. Any new projects currently or on the horizon? I’m currently recording my next project (not sure whether it will be a full-length or an EP just yet). Also planning on recording Arabic vocals to some of my previous singles from “The Jailbird EP” and releasing an Arabic EP so that I can go and tour in the Middle East. 9. Your video, “Grace” celebrates the beauty and grace of women, who are some of your heroines from the past and present and why? My biggest heroine is my mother. It sounds so cliche, but she is simply the most selfless human being I have ever encountered and I would be nowhere without her. I’m also a big admirer of Muslim reformer and activist Irshad Manji. She is not afraid to say the truth, even if many around her don’t want to hear it. She is one of my personal mentors, and has inspired me to exhibit “moral courage” in my own work, despite what the consequences could ultimately be. And I greatly admire all of the women who have been on the frontlines of the fight for gender equality in the Middle East. Nobel Peace Prize Winner Tawakkol Karman from Yemen comes to mind. There are so many brave souls who make me proud to be a woman today, and my list could easily take up this whole page. 10. If you could create a musical super group with any artists, living or dead, who would you choose and what would they play? I’m into so many different styles of music that it’s really hard to imagine putting all of those different people together into one cohesive group. I would love to jam with India.Arie, because that is a chick with a guitar AND soul. And I would love to jam with Juanes. That man can shred, and at the same time his lyrics have such profound social commentary (at least the older songs do). And if somehow I could bring Oum Kalthoum back, I would love to understand how she provoked such reactions in her audience and touched so many lives. And Stevie Wonder. That man exudes musicality. 1. What’s your favorite sandwich? 2. What’s your favorite hot drink? 3. Do you have any pets or a favorite animal? I have a fat cat named Cleo, who is very much like a little person (well maybe not little, but you get the idea). She snores, she whines, and she has feelings just like anyone else. But she makes a good roommate. I’m excited to see what happens next. Really, it has been Lyrical Venus and the opportunity it gave me to connect, interact, share and discuss music with other women artists that gave me the courage to follow the dream of making my own music! So while it’s a bit of bummer to me to realize how many posts I’ve missed here in the past few months, I can’t deny how excited I am about everything else going on in my life right now. In any case, it seemed like maybe a good catching up compromise would be to do a round up entry with links to the archived podcasts in case any of you missed the interviews I’ve done lately but didn’t get a chance to post about here. All of these women are amazing! Do stay tuned, there are more great ones in the pipeline. 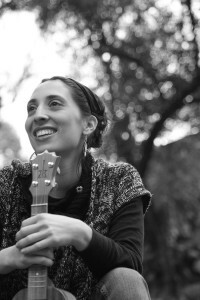 Chilean born and LA based singer-songwriter Yael Meyer releases her sophomore album today. With four tracks off her effervensent Heartbeat EP plus seven new ones, Everything Will Be Alright satisfies those fans who have been hungry for more from Yael and provides an irresistable treat to new fans. Filled with light, hope and love, Yael’s music fills the heart with joy. Artists and musicians love to talk about their creative process and how they might change it or get better. Heather Mae dives in and faces her art head on. After spending a year writing a song every day and a summer touring the country from East to West, she has learned more than a few things about taking action, living in the moment and brewing creativity on the spot. 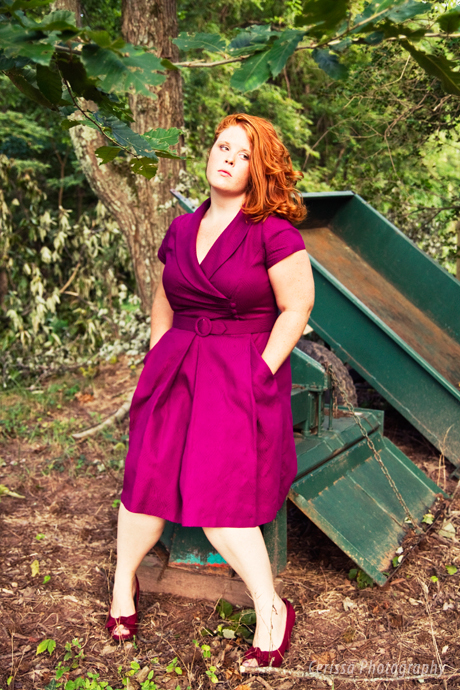 With all that experience under her belt and a style that has been compared to Joni Mitchell and Ingrid Michaelson, Heather Mae has a long and beautiful career ahead of her. 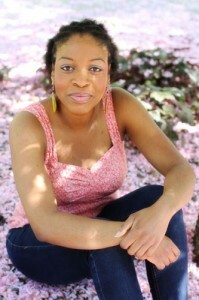 Pittsburgh singer-songwriter Joy Ike lives by the motto, “It won’t be easy, but it will be worth it.” Making the transition to full-time musician was not an easy decision, but not only has she blossomed as an artist, she even takes the time to pass on her lessons learned in an advice blog for other indie creative types. Whether you’re a music maker or appreciator, her rich voice and intelligent, bubbly piano-pop sensibilities will win your ears over in no time. Anna Coogan’s new album, The Wasted Ocean, is a fresh collection of olde time flavored sea songs, but more the type to row a small wooden boat, wearing a hand-knit woolen sweater misted with salt spray, than the type that stomp around in an eye-patch on a peg leg, sloshing mugs of beer. The songs are deeply atmospheric, layered, and evocative, all while allowing Anna’s rich, sweet and honest voice to hold center stage. Based on her album, Be Here, New York singer-songwriter Rachel Platten is the type of person you’d want to adopt for a best friend or big sister. Her songs are upbeat and positive without denying that heartache and hard times exist. Rachel is just confident that those situations are temporary and with the right attitude you can turn it around. A little of her sweet voice, bubbly smile and piano-driven pop may just be the perfect pick-me-up. Wow! It’s kind of hard to believe it, but it’s true, the Lyrical Venus Radio Hour is 4 years old! That’s four years of great music by and fun interviews with women musicians of many genres – folk, pop, blues, jazz, even the occasional rap! Thanks to the internet, the connections have been worldwide. When I can’t do the show live, I’ve pre-recorded and sent it in from multiple states and countries I’ve visited over the past four years – Barranquilla and Medellin in Colombia, Seattle, WA, Ashland, OR, Lyons, CO, Austin, TX for instance. Plus the artists have called in from around the country and world, LA, Boston, Nashville, Austin, London, Canada, Trinidad & Tobago, Philadelphia, Idaho, Seattle, St. Louis, Florida, Boulder, and more. Of course it’s always a treat to get a local artist playing live in the studio too! And let’s not forget the wonderful listeners navigating time zones to tune in on Tuesdays to Lyrical Venus on kruufm.com from all around the planet! Big love and thanks to you! It is always a treat to hear from you, what you enjoy about the artists, if you got to tune in to the show, who you want to hear more from and about. As has been my annual tradition, I’ve collected a playlist of songs by the women I’ve interviewed in the past year (the shortest one I can find by each artist), and I played as many as I could this week, though I had to split in two parts, since there were 32 artists! Part 1 playlist is here: http://kruufm.com/node/12262 Tune in next Tuesday from 9-10am Central for Part 2. Big love, many thanks, looking forward to another year of awesome music in 2012! San Antonio born and raised, singer-songwriter Laura Marie very nearly became a marine biologist in college. 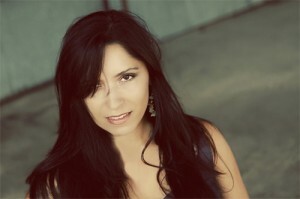 Luckily for fans of her heartfelt, personal lyrics and smoky-smooth vocals, Laura Marie’s love of music and songwriting eventually carried her through to a degree in music education, past band breakups and the challenges of new motherhood to arrive at her second solo album, Last of the Ones. Both a snapshot of a time of challenging change for the better in her life, and a prophecy of the bigger picture she couldn’t see at the time, Last of the Ones is both deeply personal and yet serves as a healing salve to all the hearts out there that inevitably get bruised by some life event or another. If you are reading elsewhere, you may need to come to the blog to see the video. Check out Laura Marie’s website to get her albums, keep up-to-date with her shows and also her blog with great tips for indie musicians! 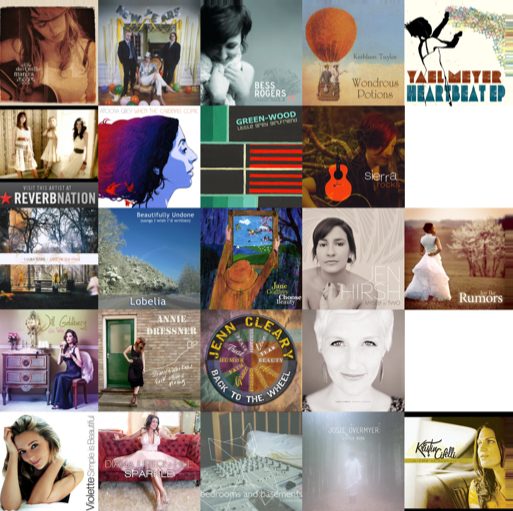 Tune in Tuesday 11/8/11 to KRUU-LP 100.1 FM in Fairfield or kruufm.com online anywhere from 9-10am Central time US for your weekly concentrated dose of music by female singer-songwriters! Interview with Laura Marie at 9:30. Brooklyn-based artist Bess Rogers just came out with her fourth independent release, Out of the Ocean. Featuring all the upbeat handclaps, sweet harmonies, indie punk and pop progressions and catchy melodies we’ve come to love from Bess, the album is also tied together with her fascination with science. Themes of evolution and love are woven together masterfully in an album that is the perfect balance of smart and fun. Produced by Chris Kuffner (Ingrid Michaelson’s Girls and Boys) and recorded partly in a Maine farmhouse studio owned by Sam Kassirer (producer of Josh Ritter and Erin McEown) and partly in Rogers’ home studio in Brooklyn, Out Of The Ocean features a host of talented friends including Ingrid Michaelson, Allie Moss, Ian Axel, Saul Simon-MacWilliams, Elliot Jacobson and Dave Eggar (Train, Beyonce). Check out Bess’ newly updated website to get the new album, see videos, get other merch, and stay up-to-date with her busy touring schedule. 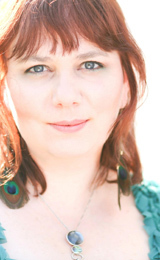 For those of you in Fairfield, IA, Bess will be performing at Cafe Paradiso on Oct. 24th with Allison Weiss. It’s sure to be an energetic and entertaining show! Tune in Tuesday to KRUU-LP 100.1 FM in Fairfield or kruufm.com online anywhere from 9-10am Central time US for your weekly concentrated dose of music by female singer-songwriters! Interview with Bess at 9:30.